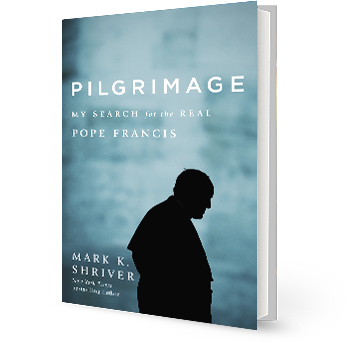 A vivid portrait of Jorge Bergoglio put together by Mark Shriver, who journeyed to Buenos Aires to meet and interview the people who know him best. It’s these ordinary folks—the barrio priests and the cartoneros—whose first-hand testimony brings the story of Bergoglio to life. If you’ve been captivated by Pope Francis, this book is a must-read. 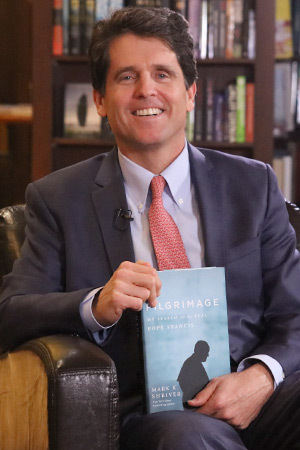 Mark K. Shriver is president of Save the Children Action Network in Washington, D.C. Shriver created the Choice Program and is a former Maryland state legislator. His New York Times and Washington Post bestselling memoir, A Good Man: Rediscovering My Father, Sargent Shriver, was published in June 2012 and received a 2013 Christopher Award. Mark is the son of Sargent Shriver and Eunice Kennedy, the sister of John, Robert and Ted Kennedy. Mark lives with his wife, Jeanne, and their three children, Molly, Tommy and Emma, in Maryland. "“All people of good faith, including those whose lives are not guided by religious beliefs, will be inspired and enlightened by the compelling manner in which Pilgrimage brings us closer to the heart and mind of Jorge Mario Bergoglio, Pope Francis. I highly recommend this book; it will make a difference in your life." Cardinal Seán O’Malley, OFM Cap.